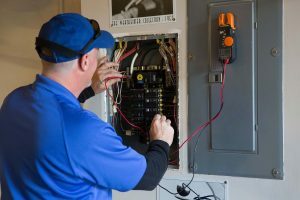 If you have been trying to identify a Juno Beach, Florida commercial electrician that you can rely on for quality service wherever and whenever you need it, you should bookmark this page. Our company, Kasper Electrical, has been the go-to electrical contractor in this area for longer that many people can remember. The company was founded by Leonard Kasper back in 1978, and the torch has been passed to his son Justin, who is also a master electrician. When your family name is emblazoned on your facility and your trucks, and the electrician trade is in your blood, you take what you do extraordinarily seriously. 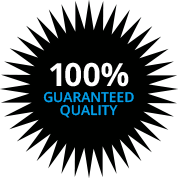 If you decide to make Kasper Electric your Juno Beach, Florida commercial electrician, you will receive an uncommon level of service, and this is the promise that we have built our business on over the years. Without question, this Palm Beach County town is one of the true jewels of the Atlantic Coast, and we are very proud to be able to serve business people in this area, from Rood to the beaches and everywhere in between. Any time that you need a Juno Beach, Florida commercial electrician, Kasper Electrical is just a phone call away. People who live in South Florida enjoy many benefits, and the ability to spend a lot of time outdoors may be at the top of the list. Landscape lighting can enhance property anywhere, but the potential is off the chain here in the Sunshine State. Our outdoor lighting expertise is second to none, and the right lighting can provide safety enhancements along with the aesthetic appeal. Landscape lighting is an area of expertise for us, but we are here for you if you need a residential electrician for any reason, including a backup generator installation. We also provide electrical repairs, and we can also be engaged if you are looking for an electrical contractor to handle a new residential construction project. We believe in honest, straightforward communication from the first moment that you reach out to us on the phone, because we treat our clients the way that we like to be treated when we are engaging a service provider. If you are looking for a home electrician or a licensed commercial electrician who can handle any type of project, give us a call right now at 561-285-8036.